Oddball characters, comatose, and an obsession with measuring tapes is giving this drama an edge. 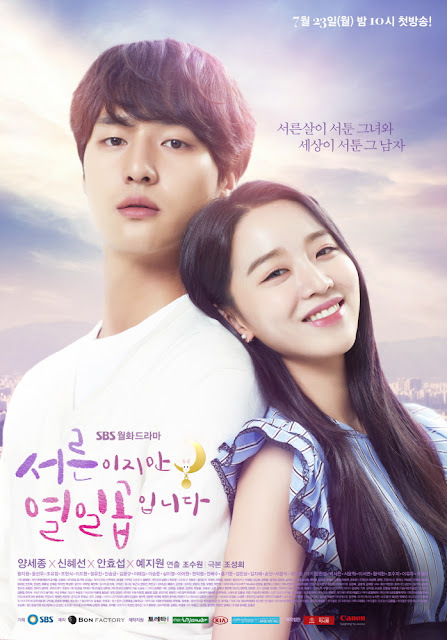 Thirty but Seventeen premieres as a romance all about fateful love. 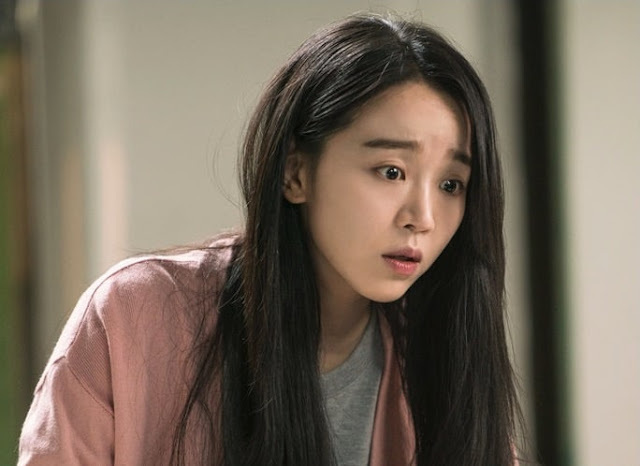 Thirty but Seventeen or Still 17 (alternate title) is about Woo Seo-Ri (Shin Hye-Sun) who wakes up from a coma 13 years after a bus accident almost took her life at the age of seventeen. She wakes up to discover that she's no longer a teenage girl but a 30 year-old woman. Dazed, she runs away from the hospital during her rehabilitation, in shock of how much her world has changed. 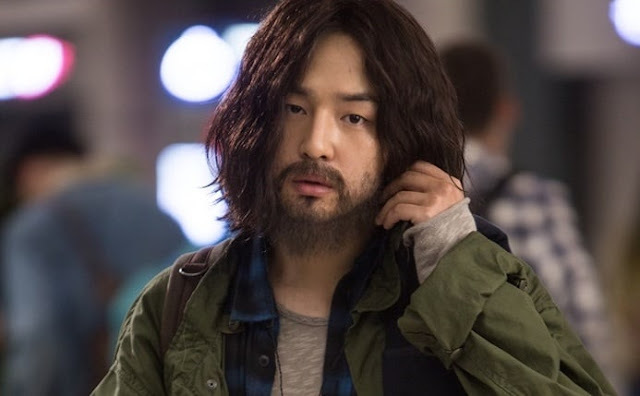 Hoping to find her aunt and uncle who raised her, Seo-Ri runs into Gong Woo-Jin (Yang Se-Jong) a set Designer who has a strange habit of measuring things at random. He's eccentric and prickly, avoiding human interaction and not caring for others' opinions. His frankness makes people furious but he prefers to keep to himself and finds it uncomfortable to deal with a woman who claims to be the niece of the house he's been living in for the past 11 years. What he doesn't realize, is that Seo-Ri is his first love, a case of mistaken identity and heartbreak diminishing his hopes of ever falling in love again. As far as measuring tapes and teenage girl emotions go, I thoroughly like the weirdness of this show and enjoy how different it is.There's typical tropes presented but I'm not recoiling in anger or rolling my eyes because the substance is still fresh and new. It even references The Ring, so how could I hate it? It takes the typical K-drama facet of falling into a coma to showcase the repercussions people face when they wake up...without amnesia of course thank goodness! Seo-Ri dreamt of studying abroad in Germany as a Violinist but her aspirations all come to an abrupt halt, breaking into a million pieces after she falls into comatose.The raw emotions and anguish she feels when she has to deal with her alien surroundings really has me applauding Shin Hye-Sun because I sense her loss for everything she's ever known. 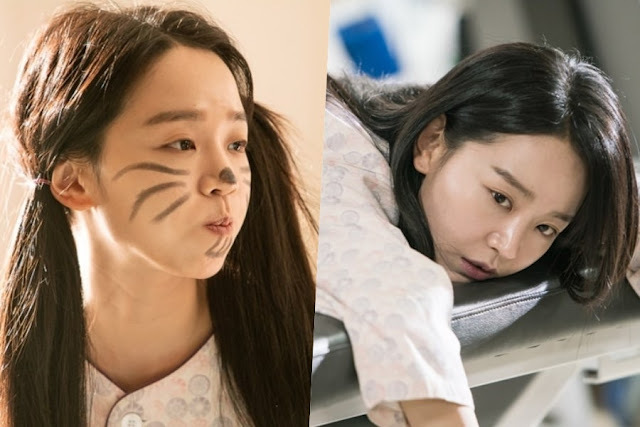 I also think they've picked the right actress for the role because I've seen Shin Hye-Sun play both sides of the coin. She can do aegyo, and be young and wistful and she can also deliver a more mature performance if her role in Forest of Secrets is anything to go by. In order to transition easily, while still being able to give us a solid performance is a feat the actress has overcome. Her speech and body language are all that of a seventeen year-old but she easily breaks away from that when necessary to bring out the thirty year-old woman Seo-Ri has become. 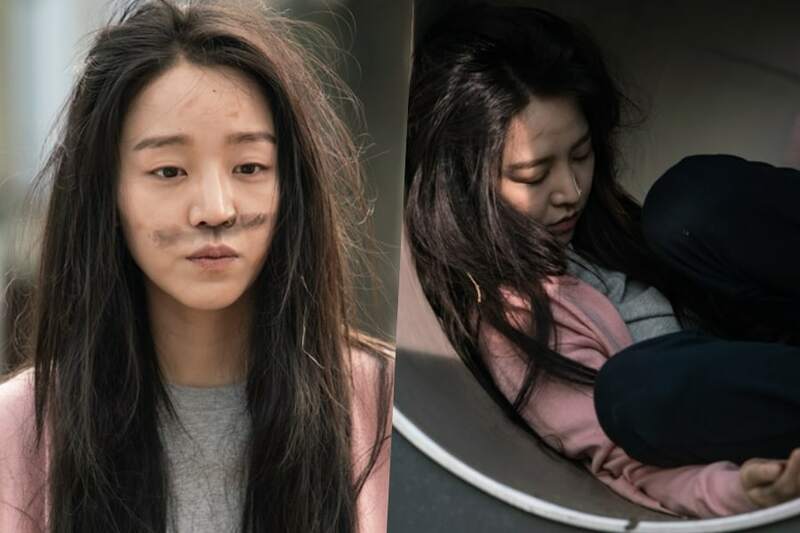 The drama also raises plenty of questions; how can a woman who's still a girl function in society? Will she be able to get all the years she lost back? And I absolutely look forward to how they'll be addressed. 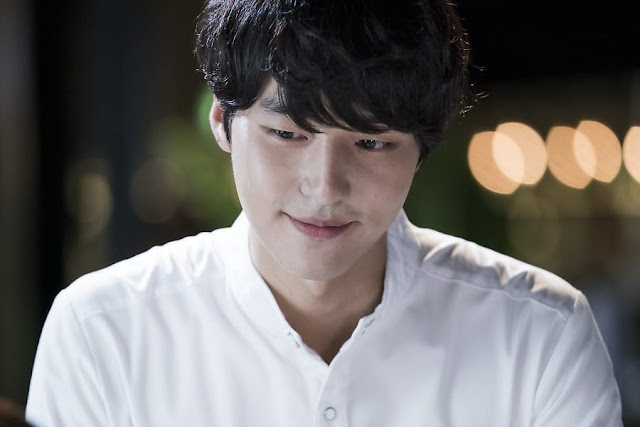 Yang Se-Jong on the other hand, just has such a melancholic feel to his acting because of his voice and expressions that he gives his character a better edge because on paper, Woo-Jin seems like a character we've seen before or one that we'll easily dislike. Yang Se-Jong is no stranger when it comes to romances and intense roles so this drama gives him something in-between and I'm excited to see his chemistry with an actress closer to him in age. It's a love that was lost to time and an unfortunate collision, so the actors have to do a lot to convey the love they'll ignite but also the kids they couldn't be, having to shed their innocence and dreams. Of course I can't leave out the greatest source of comedy in the show, which is Ahn Hyo-Seop as Chan, Woo-Jin's not so bright nephew. 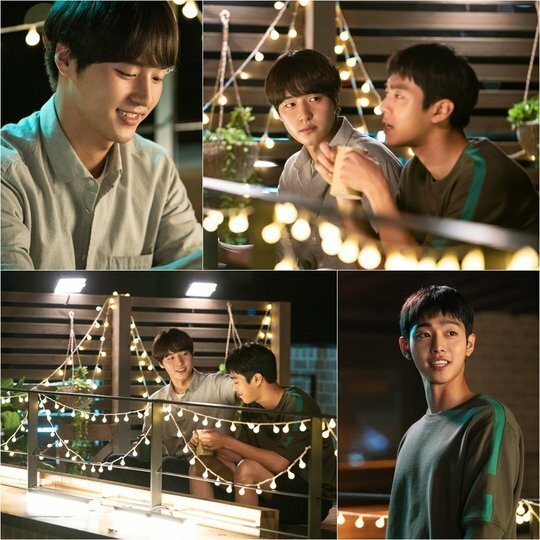 He's a bit dim but sweet natured and completes the bromance while being the female lead's emotional life-line. I was quite stunned when I saw the physical transformation, because I buy it if you said he was 19 (it's the hair and megawatt smile, isn't it?) since there's a sense of aloofness to Chan but emotional awareness as well, acting as a counter balance to Woo-Jin. I'm not sure where the plot is headed but my guess is that things are about to get more romantic in a hilarious way at first, but then headed for more melancholic scenes because there's so much more Seo-Ri has to learn about the people in her life and where her last remaining relatives went. It'll be a romance built around a sudden encounter that's really just fate playing its tune and bringing together two people who were meant to be. Overall the pacing is nice, setting up a story that will give us a variety of things to look forward to. The premiere was enjoyable with its new concept, comedic moments, and unconventional characters that bring this entertaining vibrancy once they're in contact with one another. The show is promising and has a lot going for it, topping ratings for its pilot episode so in the same vein, I think it's worth the watch with little to nothing to complain about at this point. I was so surprised how much I enjoyed the first week. Shin Hye-Sun is doing a great job and I'm so glad she doesn't overdo the 17 year old persona like some actresses would. I also really appreciated they showed the reality of long, difficult and arduous task of physical rehab after a coma. Usually dramas just skip over that. The thing I'm worried about is it looks like she is going to have 3 guys fall in love with her. I'd prefer to avoid the typical love triangle/square/pentagon lol! I hope Yoo Chan remains a best friend/brother relationship with her because he is absolutely adorable and I don't want to see him get hurt! I really hope Chan stays as a friend because he's so sweet and acts like a younger brother for both leads and seems to be their line of communication since Seo-Ri doesn't have a clue in the world when it comes to Woo-Jin's double meaning remarks.